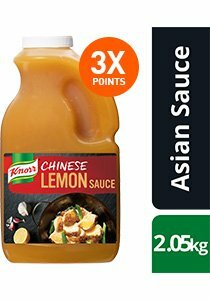 Made with real lemon juice to add the perfect bit of tang to noodles, pizza, dipping sauce, braised dishes and stir fries. Sauce for noodles, pizza, dipping sauce, braised dishes, stir fry. Weight per serving/portion - 82 g.